Burgh St Peter towermill was a five storey mill built c.1825 in red brick and was probably built to supplement the nearby Wheatacre_postmill that was also worked by James Sayer. In the early 1800s Burgh St. Peter was also known as Wheatacre Burgh. In 1839 it was advertised as being nearly new and was equipped with patent sails on an iron windshaft with stones and a flour mill. A steam auxiliary engine had been installed by 1872 and the mill was mainly producing grist rather than flour using 3 pairs of underdriven stones on the 2nd floor. An additional 2 pairs of 4ft 6ins French burr stones were added in 1906. The mill had 4 double shuttered sails, each with 10 bays of 3 shutters, a boat shaped cap with a gallery and 6 bladed fan with a chain pole. Lot 1. 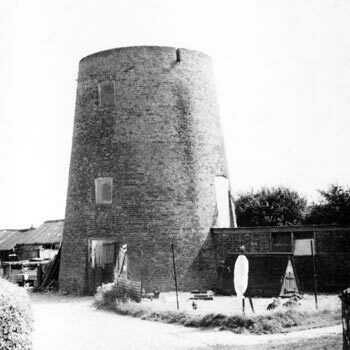 All that substantial Freehold Brick TOWER WINDMILL, nearly new, with Patent Sails, Winding Tackle, Iron Shaft, Flour Mills, Stones & Jumpers complete, together with half an Acre of land attached thereto. Early possession may be had of this lot. Lot 3. All those Freehold Tenements or Cottages, Stable, Piggeries & other Buildings together with 2 Acres of Arable Land in the Occupation of Mr. James Sayer & Robert Moore. Lot One will be Sold with the Trade attached to both Mills, as Mr. Sayer is withdrawing from the business. Apply to Mr. James Sayer or to Mr. Barnard, Conveyancer, Lowestoft. WHEATACRE BURGH Mills. Between Beccles & Lowestoft. To be Sold by Private Contract. Together or separately. All those Tower & Post_WINDMILLS, Cottages & Two acres & a half of Land in the occupation of Mr. James SAYER, with every convenience for the Trade. 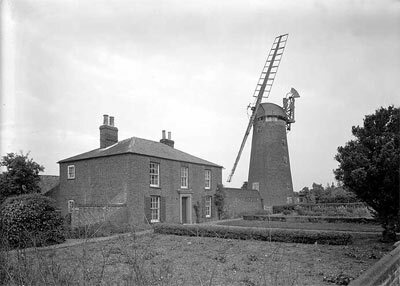 This is an established situation - both Mills stand upon remarkably high ground in a fine Corn District & very near the Navigation from Beccles to Lowestoft & possession may be had immediately. Apply to Mr. BARNARD, Conveyancer, Lowestoft. Wanted immediately, in a Country Mill, a Young Man who has been accustomed to Steam Power and the Grist Trade. None need apply who cannot have a good character from his last employer. Apply to Mr. G. HAMMOND, Burgh St. Peter near Beccles, Suffolk. 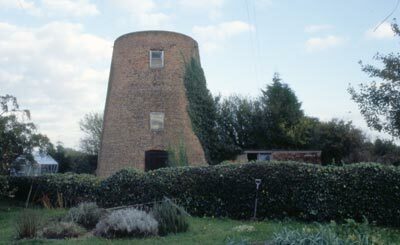 Messrs. SPELMAN have received instructions from Mr. George HAMMOND who is retiring from business to Sell by Auction early in June next with possession at Michaelmas the well standing WIND FLOUR MILL with Steam Power attached driving four pairs of Stones, Dwelling House, Shop, Barn, Sheds & Piggeries with Garden containing about 1 acre. Particulars of Mr. T.M. BAKER, Solr. Great Yarmouth or of the Auctioneers, Norwich & Yarmouth. 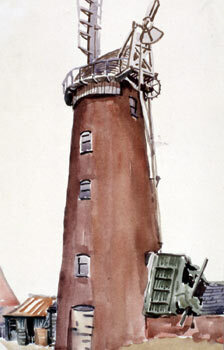 1½ miles from Aldeby Station, 1½ miles from the Burgh Staithe & 4½ miles from Beccles. Particulars of Mr. T. M. Baker, Solr. Great Yarmouth or of the Auctioneers, Norwich & Yarmouth. Burgh St. Peter. One mile from Aldeby Station. Messrs. Spelman have received instructions from Mr. George HAMMOND who is retiring from business, to sell by auction, early in June next, with possession at Michaelmas, the well standing WIND FLOUR MILL with steam power attached driving four pairs of stones, dwelling house, shop, barn, sheds & piggeries, with garden, containing about one acre. Well built brick freehold Tower wind flour mill in substantial & good working order, has 5 floors, driving 3 pairs of stones, with dwelling house, stables, gig house, cart shed & roomy barn attached, also two cottages adjoining. Burgh St. Peter. Geo. Hammond. In good working order, with DWELLING HOUSE adjoining, Garden & Outbuildings with Immediate Possession. The mill stands in a good Corn district & commands a fine retail & bag trade. 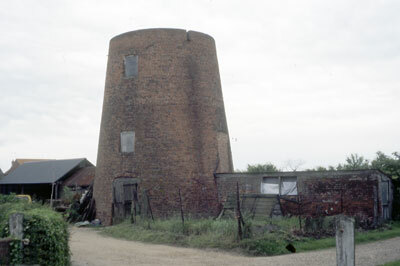 The well built Freehold WIND FLOUR MILL situate in the Parish of Burgh St. Peter, 1¼ Miles from Aldeby Station, 1½ Miles from Burgh Staithe & 4½ Miles from Beccles. 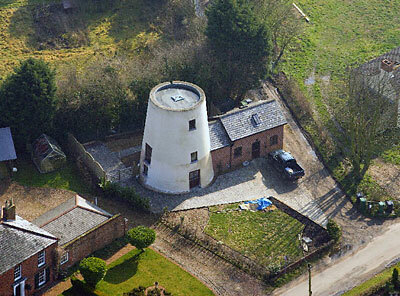 The Engine & usual Mill Fixtures will have to be paid for by the purchaser at a valuation in the usual way. Immediate possession will be given if required. Also two Freehold Cottages adjoining the Mill. The Attention of Millers is called to this property. The Mill stands in a good Corn District & commands a fine retail & bag trade. An energetic man taking the premises would undoubtedly ensure a first class business. Apply to Mr. T.M. Baker, Solr. Great Yarmouth. 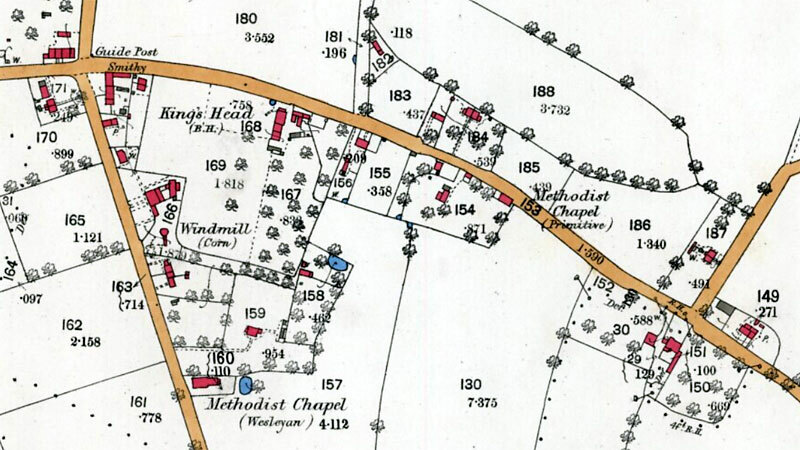 The above map also shows the older Wheatacre postmill to the west of the towermill. Mr. George Jeffries, in his straw boater and wearing no gloves even in winter, was once a familiar sight driving his miller's cart around The Triangle and neighbouring parishes. To tether his horse when he made calls, he placed iron rings in trees. Some of these can still be seen, one in the tree at the end of the drive to Mill House, Wheatacre, one in an elm opposite the entrance to Wheatacre Church, where he was churchwarden and one in the oak tree on the opposite side of the road to the pit down Common Road, Aldeby. Mill stones from Burgh Mill, removed when it went out of use, can now be seen used as doorsteps by the roadside at Priory Farm, Aldeby.